Huge thanks for this report Carlo. If you can send me some additional photos of the Skipperrera, then I will be happy to post them. So do we have Christie's PhotoShopping the hero image in the catalog? When people ask "What's wrong with vintage Heuer? ", seeing watches like this on the big stage, under the bright lights is a big part of the problem. 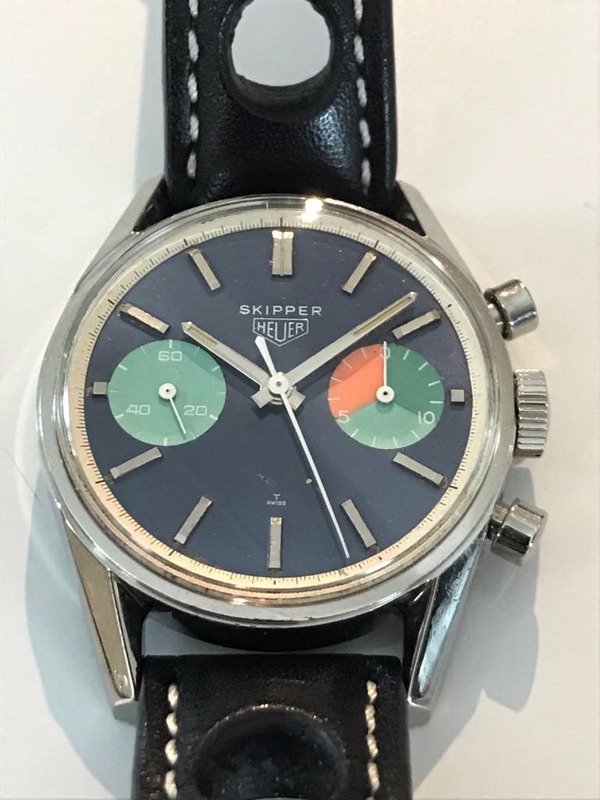 Just for purposes of discussion, let's say that the market for a really nice, honest Skipperrera is somewhere in the $75,000 to $100,000 range. And let's say, again just for purposes of discussion, that Christie's sells this one for $40,000 to $50,000. People look at this result and conclude that the market is "off" by 50% from its peak. 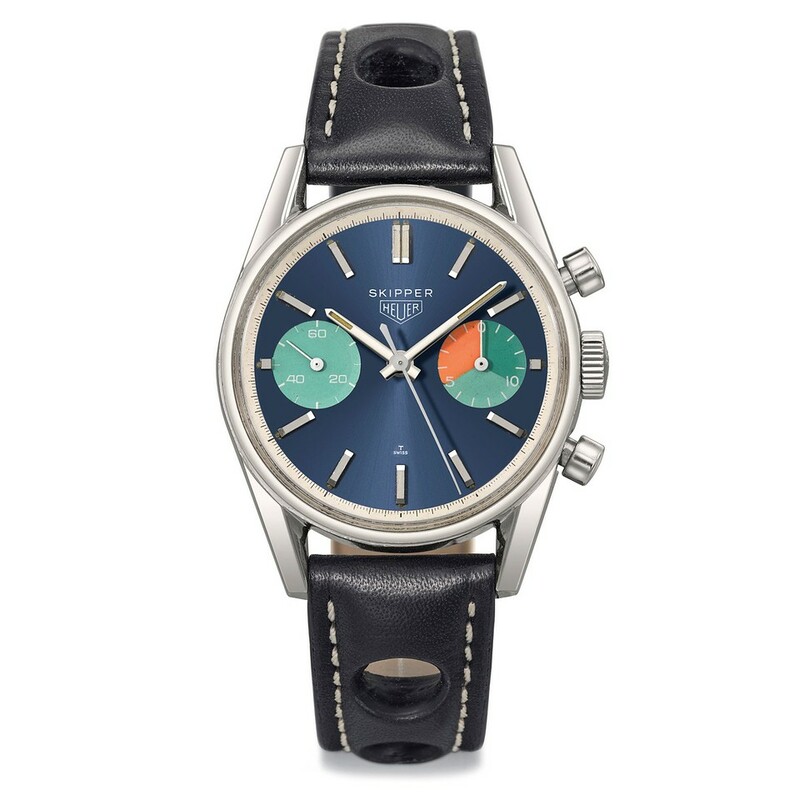 In the current market, the delta in prices between the best pieces and the eBay-equivalent pieces is significant and increasing. It's a shame that we have to explain to some collectors that the sky is not falling, but rather we are seeing some real garbage hitting the market. Another aspect of supply and demand . . . the supply in the third or fourth leg of the market is not as good as in the early days. Let's keep the discussion going, and thanks Carlo for supplying the information that Christie's seems to have glossed over. : post or read for that matter on OTD. : Christie's at the Geneva November 2018 auction. : with......and this is where things went VERY south!! : scratches and dents in places. " : condition of what it looks like in person. : premium for this condition....so let's see what happens! LOL! Re: What's wrong with that one?? Wow - so what is the service they provide to the buyer? Thanks Carlo and HOLY CRAP! So It Seems Clear that They PhotoShopped the Catalog Shot! !